I have an idea... now tell me if it's good or bad. 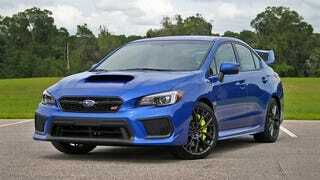 Instead of buying a WRX or STI, I could lease one. Less down, almost same payment, and I could either keep it after 3 years or give it up and I think I would be into it about the same. Someone do the math for me so I can really understand. I’m an accountant but I don’t do numbers.